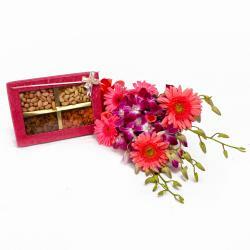 Product Consists: Bunch of 15 Mix Flowers like Roses, Gerberas with green fillers along with Box of Assorted Dryfruits (Weight : 500 Gms). Send fabulousness to your dear ones on their special day and win their heart. 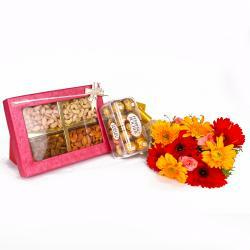 Dryfruits with flowers is one of the best gifts as this is full of happiness and joy. This will elate your dear ones completely and make them smile gleefully. This is a huge bundle of emotions having bouquet of roses and gerberas that stand for different emotions and occasion such as Birthday, Anniversary, Independence Day, Thanksgiving Gift, and Friendship Day. Gift this bundle of memories and feelings to anyone and overwhelm him with joy. 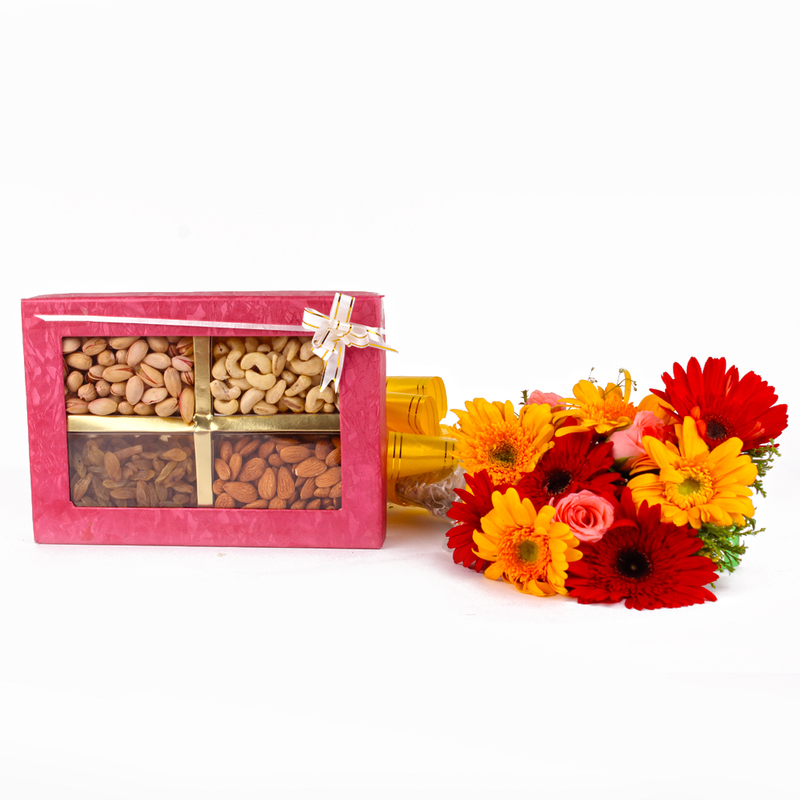 Also send this hamper for your loved ones along with other bewildering Gifts to India through Giftacrossindia and make your dear ones feel special. 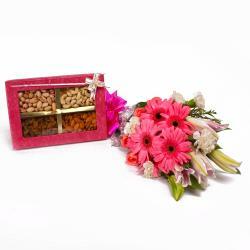 This gift hamper contains : Bouquet of 15 Mix Flowers like Roses, Gerberas with green fillers along with Box of Assorted Dryfruits (Weight : 500 Gms).